No sector is safe from the disruption brought by the digital revolution. In a talk given at the British Legal Technology Forum, I use the legal sector as an example of the sweeping changes threatening us all. I outline some steps we might take to adapt to this new landscape and the opportunities just waiting for us to grasp. Imagine for a moment that you had a power cut right now. I suspect your work would grind to a halt. Yet we take electricity for granted. It is so ubiquitous that it is invisible. When electricity first came along organisations were unsure what to do with it. They appointed chief electricity officers to help them integrate it with their businesses. Even so, a decade after the introduction of electricity, factories were still being built beside the river. This despite the fact they no longer required the power of water. The potential of electricity still had not sunk in. Throughout history we have underestimated the power of technology to change our world. Throughout history we have underestimated the power of technology to change our world. The arrival of the printing press didn’t just allow us to print books. It increased literacy, improved education and undermine the power of the Catholic Church. Not bad for a bit of tech. The introduction of the production line caused a massive exodus away from the country into city centres. While a few years later the automobile allowed people to move back out to the suburbs. These technologies had far-reaching effects beyond their original use. 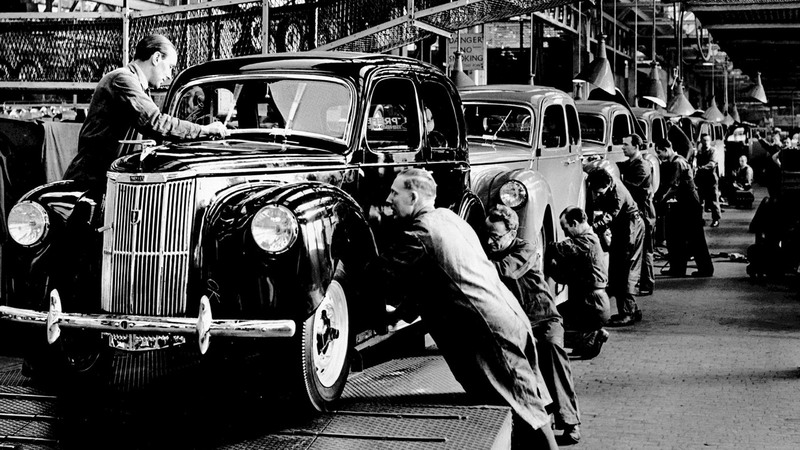 The production line and the automobile are two examples of technologies that have transformed our world. So it is with digital. Many consider digital to be just a collection of technology. But it is far more important than that. Digital has changed everything. Yet, like many, the legal sector is failing to grasp the enormity of what is happening around them. For a start digital has changed our behaviour, even to the extent of rewiring our brains. Just think for a moment what the first thing you do is when you wake up in the morning. My guess is that the majority of you reach for your mobile phone. Our entire waking lives we are connected to our colleagues, friends and news sources. In fact we have the whole of human knowledge in our pockets right now. Digital technologies have changed decision-making, how we express ourselves and our expectations. We expect outstanding customer service and we are quick to express our dissatisfaction online. We look to the web for recommendations and are no longer constrained by geography or a personal network. This has caused a shift in power. Where once organisations had the budget to make their voice heard, now that power lies in the hands of every individual. Every organisation is one disgruntled customer away from a PR disaster. Every organisation is one disgruntled customer away from a PR disaster. Sector after sector have been reshaped by this digital revolution. Customers chose downloading individual songs over visiting the high Street and purchasing an album. This destroyed the high street retail music sector almost overnight. 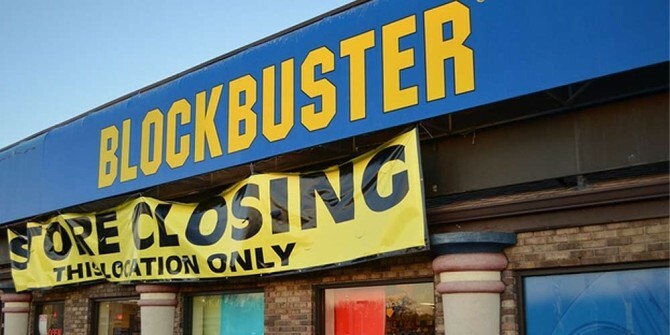 Blockbusters were supplanted by Netflix. Users chose the convenience of streaming over returning physical discs. Kodak was too slow to adapt to the emergence of digital photography and they closed their doors. Taxi companies around the world are living in fear of Uber because of the more streamlined experience they can offer. Digital is transforming sectors and closing traditional retailers. Only recently we saw another casualty in the newspaper industry. The Independent stopped publishing. Meanwhile the more digitally savvy Guardian is prospering in this new age. But it’s not just the business to consumer sector that is feeling the impact. In fact it is hard to think of a sector that the digital revolution has not affected. From business telecoms to travel, organisations are using digital to make better purchasing decisions. Digital is also providing a competitive advantage. At least it is for those companies that grasp it. It is allowing efficiency impossible before. But it still isn’t just changing how we do business, it is changing the workplace to. There is a new generation of digitally savvy employees. Employees who have different expectations of the workplace. A generation comfortable with blurring the lines between home and work. A generation used to being always online and always available. But they are also a generation who have different expectations of their employer. Influenced by online thinking, they expect a new level of autonomy and freedom. Expect control of where and when they work and a large degree of freedom in what they do. There is a new generation of employees that expects more freedom and autonomy than ever before. They also expect access to the best digital tools to enable them to do their job. You will find they have low opinions of any organisation that does not invest in its internal digital systems. This is a generation who values working environment as much as their salary. Can a sector be immune to digital disruption? When looking at the legal profession it would be tempting to think that it is immune from digital disruption. Indeed from looking at how many legal firms behave, you would think that is the case. Sure they have introduced some digital technology into their operations. But little has changed in regards to how they do business. But like so many others, the legal sector is ripe for digital disruption. There are many opportunities for digital to bring about improvements. Unfortunately management are oblivious to some of the seismic changes going on around them. Management are oblivious to some of the seismic changes going on around them. Changes such as the way that groups are influencing public opinions about trials through the use of social media. How individuals or small pressure groups with no budget can draw attention to issues in a unprecedented ways. But even within law firms themselves digital is beginning to have a serious impact. In fact there are four areas that are a particular concern to me and that I want to explore over the next few minutes. The first area that law firms need to be aware of is that the way people select them is changing. In the past the selection of law firm was influenced by geography. 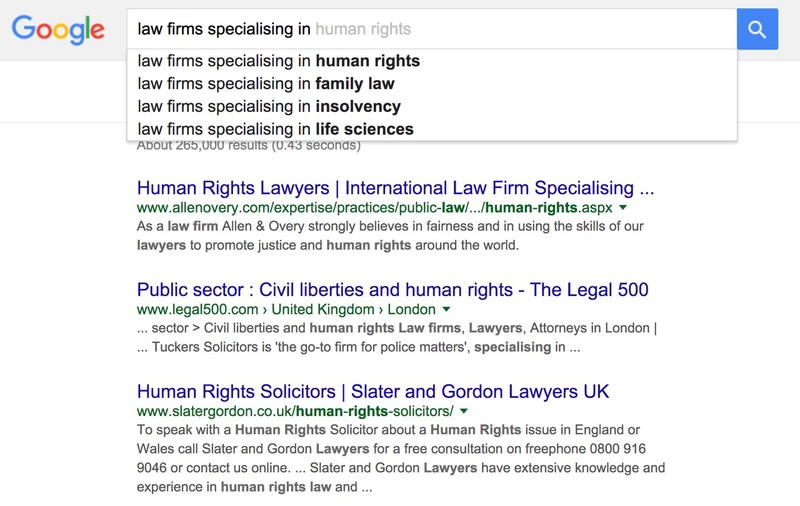 You would select a law firm in your local area, but now that is becoming a secondary consideration. Today people use digital tools to find and evaluate your competitors no matter where they are. You are no longer compared to law firms in your city but also across the country and even abroad. We now live in a world where your customers are looking for the best law firm to do the job, not the closest. This means that as law firms we need to be able to prove our specialism. This deep knowledge in a specific area will become the deciding factor in the hiring process and we need to adapt to that. Increasingly expertise is more important than geography. Now you might be thinking that this does not apply in your case. In your company the majority of work is won through the personal networks of your attorneys. But this is another area that digital is changing. Much of the work one by law firms has come from the network of contacts held by individual attorneys. I believe this is one area that digital will not impact. After all, people always prefer to buy from people. This is especially true with something that requires such a degree of trust as clients need when hiring a lawyer. But how an individual attorney maintains this network of contacts is changing because of digital. Many of the stereotypes of attorneys wining and dining clients or playing golf are not so far off the mark. This method of networking has, and will, continue to be important. But it does come with limitations. For a start the attorney can only maintain so many relationships in this way. At least without becoming morbidly obese! Also there is a geographic factor at play here. The attorney can only interact with so many people within a limited area. But digital enables a much larger level of interaction. In effect an attorney can go from a small network of a few dozen to interacting with thousands online. A new generation is embracing the reach of online networking. This is something that the younger generation of attorneys are all too aware of. 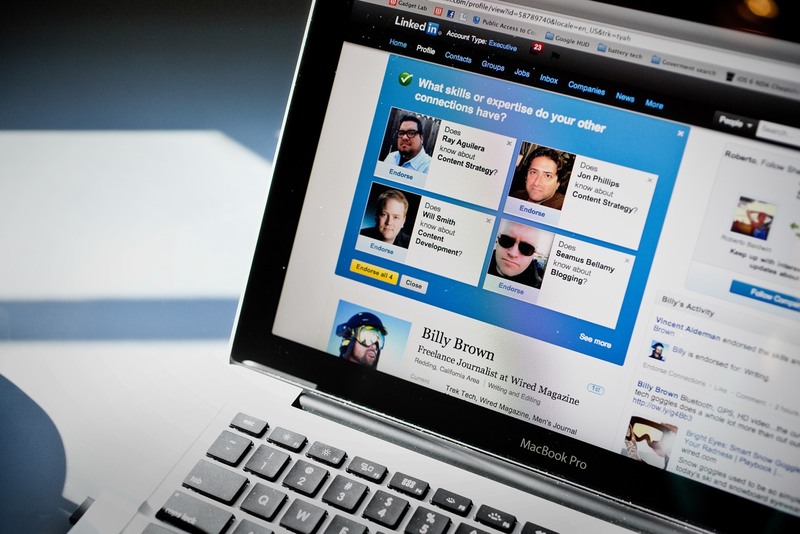 You find them quick to embrace social networks like LinkedIn. They also have a desire to make use of email marketing and blogging to build their reputations. Unfortunately many law firms are slow to accommodate this new way of networking. But these new communication tools do not only allow attorneys to expand their network. They also have the potential to improve the customer experience. After all the legal sector involves a large amount of back-and-forth communication. Communication that can be highly complex and hard to track. The potential for implementing tools to help manage this communication is huge. This is an opportunity to streamline the process for your customers so creating a better experience. A better experience which will create customer loyalty and encourage recommendations. Because research has shown that people are willing to pay more for a superior experience or one that saves them work. Many apps use dashboards as a way of keeping their clients informed and giving them a sense of control. But it is not just about saving the user time. 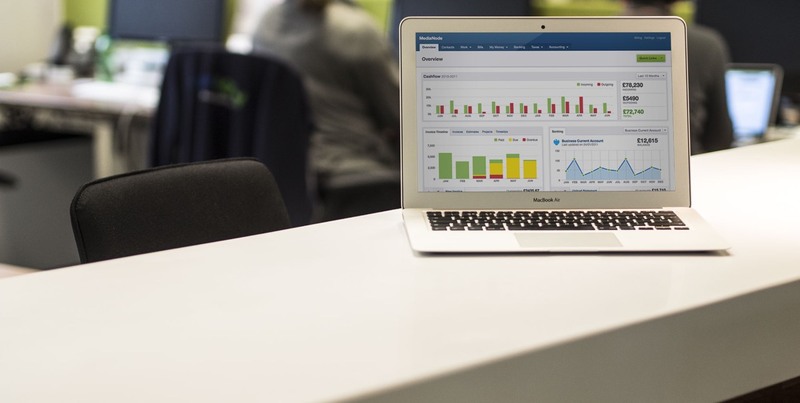 Digital tools, such as a client dashboard, can also keep the customer informed. This helps reassure them that things are in hand, while at the same time reducing your overhead in communicating with them. Reducing overheads touches on another big area for the use of digital in the legal sector – efficiency. The legal sector involves a large amount of complex and detailed work. It involves a lot of research that can prove time-consuming. There is also large amounts of documentation and compliance involved. Areas that take considerable effort. Anything that you can do to reduce the burden of these areas will improve the efficiency of your law firm. This in turn will increase profitability or allow the law firm to compete more aggressively on price. Either way that is good news for the business. Digital can improve efficiency so increasing profitability. Digital offers so much potential in this area. Applications that help the research process or manage large amounts of documentation. It might even be possible to automate some of the compliance involved in legal proceedings. I’m far from being an expert in the legal sector. But even a cursory look from the outside shows me there is a lot of potential for digital. Potential to reduce costs, increase profitability and expand reach. Those who pursue this path are going to gain a significant competitive advantage. They will be in a position to disrupt the sector. But doing so is not without its challenges. By looking at digital disruption in other sectors you notice one disturbing trend. Often it is a new start-up or outside player who disrupts the sector. Apple disrupted retail high street music. Netflix started up and is changing how we consume TV. 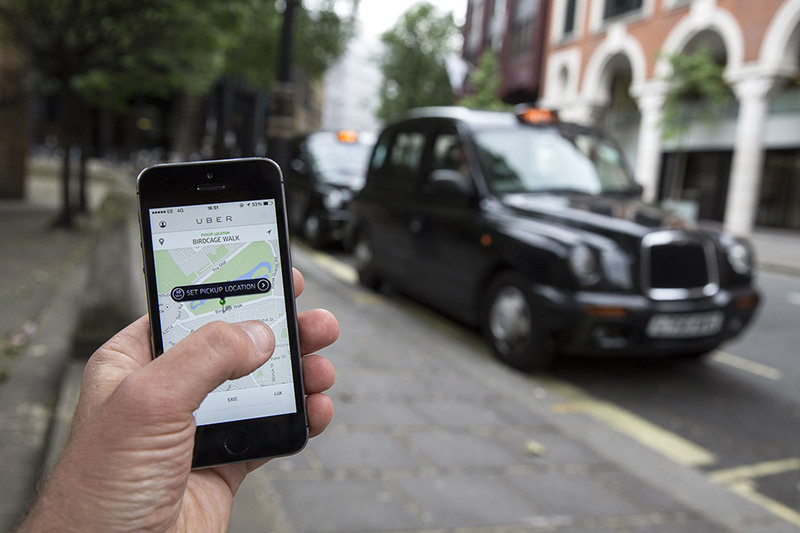 Uber is a new player in the world of taxis. I could go on. So often it took somebody from the outside to come in and do things in a different way. Often it takes an outsider to disrupt a sector. This is because it is hard to change. If organisations have been doing something for decades it is hard for them to recognise that this approach may no longer work. It is even hard for them to see there are new opportunities to do things better. We fall into patterns of behaviour that we struggle to deviate from even when circumstances change. This is why the legal sector is so ripe for disruption. They have been doing things the same way for many years even though the world has changed around them. If your company is to avoid a new player disrupting things you need to become more agile. That involves overcoming some significant barriers that probably exist within your organisation. Barriers like your own management team. The sad truth is that many senior management teams in law firms are a significant barrier to digital adoption. The average age of a senior partner means they are not particularly digitally savvy. Unlike a growing number of their customers and employees they may not use digital tools on a daily basis. As a result they do not value it as important. There is a general unwillingness to accept that things have changed. So it falls to those of us who are aware of the need, to create a compelling business case. A business case that focuses on the benefits digital can bring to areas that they do understand. Areas such as profit, efficiency and reputation. We cannot expect senior management to care about a customer relationship management system. But they will care if it saves money and encourages clients to recommend us to colleagues. We should not try to convince management about digital. We should frame the conversation around their pain points. We should not try to convince management of the importance of digital. Instead we should frame the conversation around their pain points and struggles. Every senior management team has certain objectives that they need to reach or barriers they need to overcome. The chances are that digital can help with those and that is how we should position it. But it is not just senior management who do not understand digital. It is not even our colleagues. We ourselves often have a narrow view of what digital is. I believe that one of the biggest barriers to digital success is our own view of digital. Our own career background often gives us quite a blinkered view of the role digital plays. For example if we come from a technology background we tend to focus on systems that can help the business operate. If our expertise is in marketing we tend to perceive digital as a marketing and communication tool. But in truth digital affects every part of the organisation. Digital can improve companywide productivity. It can help recruitment, support customer service functions and streamline invoicing. It can even improve the kinds of services you can deliver and operate as an effective research tool. Digital transformation needs to affect every part of the business, not just marketing and IT. Yet to do that, digital transformation needs to affect every part of the business, not just marketing and IT. It impacts how we measure compliance all the way through to how we buy new products and services ourselves. Nothing in our business remains untouched. Without a doubt Digital offers the potential to revolutionise how we do business. But one of the biggest barriers we face is how we choose to invest in its application. Within the majority of organisations, digital is a capital expense. They treat it much like any other procurement project that happens every few years. But in truth we should be considering it an operational expense that requires ongoing investment. Implementing a new digital service is not like constructing a factory. It is not a matter of drawing up plans, building those plans and then doing some minor maintenance. When we build a new digital service it is more like planting a garden. The initial garden is sparse and basic. But as it grows we prune, trim and add more plants. In time the garden matures and flourishes. This is the approach we need to take with digital services. We must stop investing large quantities of money in a redesign of a digital service every few years. Instead we should be launching minimal viable products. We should track its effectiveness and improve it over time. Unfortunately this is often problematic when a budget has been set and an end date agreed. Periodic investment in digital means it can never be truly effective. The result is that once launched most digital services get abandoned, except for a small amount of maintenance. It is not surprising then, that we have to repeat the process again in a few years. That is a big topic and one that far exceeds what little time I have left. In fact it is a topic I wrote an entire book about and still only scratched the surface. But as I wrap up today I would like to leave you with three areas that are particularly crucial. The first is the need for a much more focused approach to digital. In the majority of organisations I work with digital is still managed on an ad hoc basis. There is no clear process for defining the priority of new digital services. No clear leadership, with responsibility for digital spread across many departments. No clear vision for what impact digital could have on the organisation over the long-term. At the least, you need one individual responsible for the integration of digital into the company. This person needs to have the support of an executive sponsor. The digital lead should be responsible for digital. But they will also need the authority to put in place changes to ensure your company is more digitally friendly. You need a clear roadmap towards the day where digital is as ubiquitous as electricity in day to day operations. Second, the organisation needs a clear vision of its eventual goals for the integration of digital. It will also need a strategy for moving towards this vision. This needs to be more than a set of aspirational goals. Instead you need a clear roadmap towards the day where digital is as ubiquitous as electricity in day to day operations. But having a clear vision and one person to ensure its implementation is not enough. As digital becomes business critical, we cannot continue to rely on outside contractors. Relying on them to build our digital services only perpetuates periodic project thinking. To continually improve the digital services we offer, means we will need an in-house digital team. To continually improve the digital services we offer, means we will need an in-house digital team. Only then can we keep gathering feedback and adjust what we offer based on changing business requirements. This team needs to be capable of doing a lot more than the occasional piece of maintenance. Many organisations have in-house digital staff. But they are often under resourced. They need time to think strategically, develop new services and keep their skills up-to-date. Finally, it is time to start rethinking our standard operating procedures. The world has changed and we need a new digitally friendly framework within which the company can operate. This will involve everybody in the company reevaluating the way they work. People will need to ask themselves whether digital can help them do things more efficiently. Or even revolutionise their jobs. 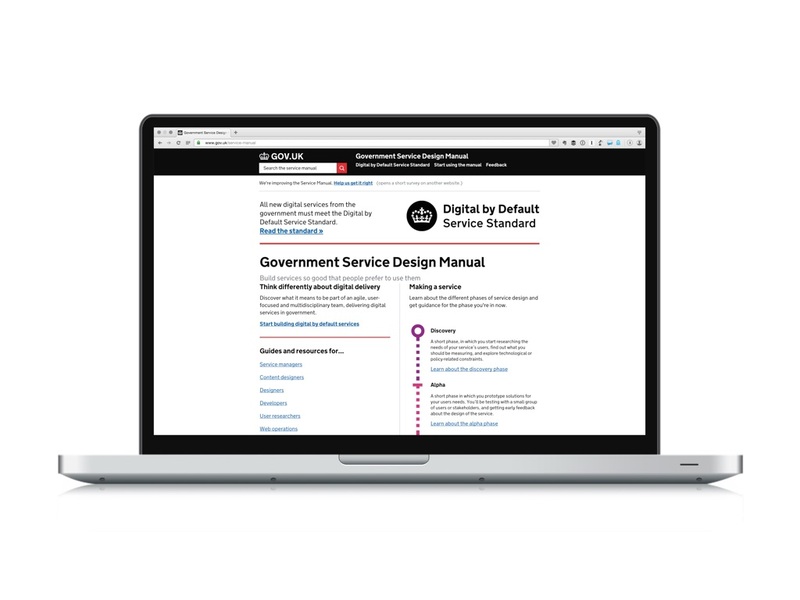 The Government Digital Service in the UK has created an entire framework around how it manages digital. But we will also need to consider new working practices for how we deal with the digital services we use. Policies around accessibility, data privacy and other compliance issues. But beyond that we need to establish digital best practice. Best practice for areas such as writing for the web and the use of social media. I am well aware that the task ahead of you is a huge one. I’m suggesting that we cannot simply bolt digital onto the side of our existing business model. That instead we need to allow it to transform the very nature of the way we operate. That I am asking you to challenge the status quo and work hard to initiate a program that will disrupt every part of the organisation. This may seem overwhelming. But we cannot expect this kind of change to happen naturally. And if we are not going to initiate it who is? We also need to remember the consequences of inaction. Digital has an incredible capability to provide a massive competitive advantage and completely redefine a sector. It is not a matter of whether you should do this or not. Is simply a matter of whether you adapt quickly enough to survive the inevitable storm is coming. When I wrote my book on this subject I chose to call it digital adaptation. I picked the word adaptation because it reminded me of a quote from Charles Darwin. A quote that perfectly sums up our current predicament as we weather the storm of digital disruption.